I have a passion for ribs at the moment, I only started cooking them earlier this year, but they have become a regular feature at the dinner table. 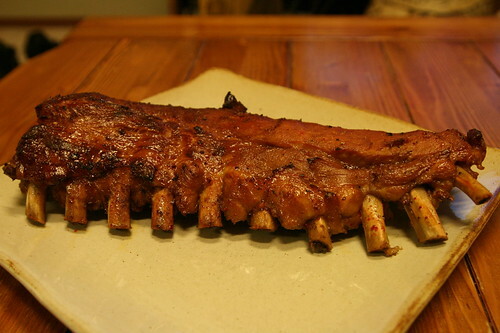 They're boiled and baked with a recipe of my own concoction, sort of a cross between chinese and western ribs, trying to mix complimentary flavours from both worlds. 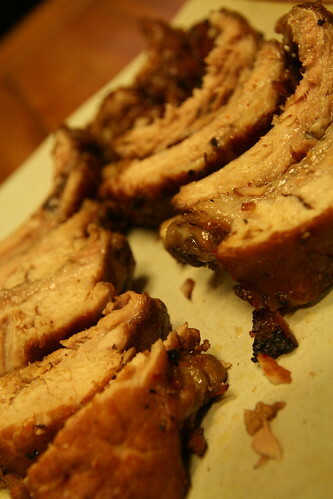 A glug of oil, a dash of soy sauce, a pinch of black pepper, a squeeze of honey and a shot of your alcohol of choice. 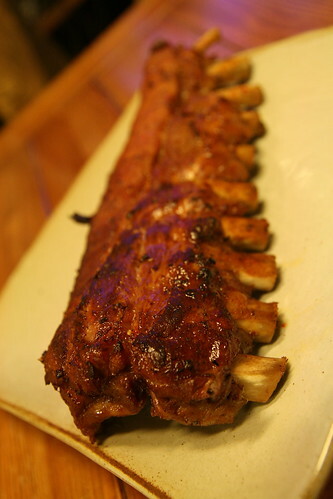 I love to use dark rum with these ribs, but a half decent whiskey will also do the trick. Just follow the golden rule: If it's not good enough to drink, then don't cook with it. The ribs will happily sit with a salad, steamed veg, a simple pasta, rice and kimchi... in fact they'll go with pretty much anything you like.